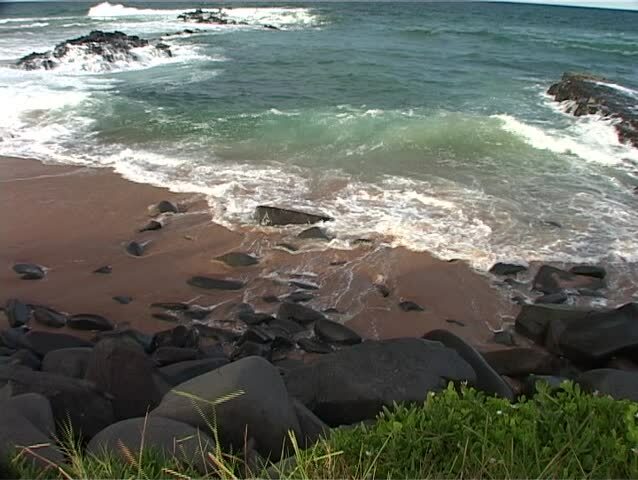 Waves Breaking on Rocky Beach in Ballito, South Africa. Ballito is 40 kilometers north of Durban in Kwa-Zulu Natal and is a thriving holiday destination. 4k00:35Waves crashing over Oahu's volcanic rocks.